I must admit that there are few pumpkins in my baking past. None actually. As to why, I'm not exactly sure, but it most likely has something to do with my childhood aversion to pumpkin pie. To me, it was that strange orange dessert I was offered only once a year during the Fall season. Or Autumn season. Whichever you prefer. The pumpkin pie offering was one I so rarely accepted, as it was usually served beside a safe and familiar apple pie. I'm sure if I had agreed to try it more times than I did, I'd have taken a liking a lot sooner. No worries, pumpkin pie lovers--over the years I grew to like all things pumpkin quite a lot. Now, for the first time in my life, I ventured into the world of baking with pumpkin. Pumpkin Brown Butter Cupcakes; that's what I made. They're pretty darn scrumptious, too. 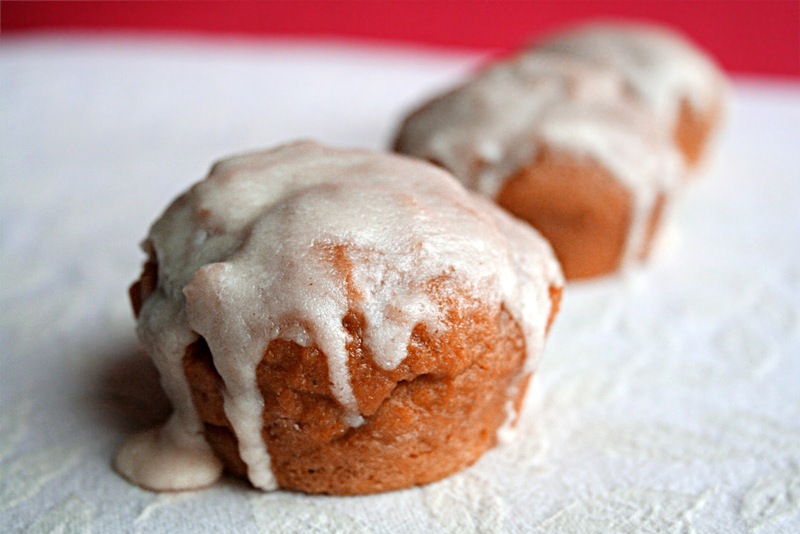 The pumpkin in the batter makes them moist and full of flavor and gives them that great texture that is unique to pumpkin baked treats. These cakes are dipped in a sweet brown butter icing that runs beautifully down the sides, and they fill both my head with thoughts of the Fall season and my house with the warm aromas of pumpkin. …but I have no regrets! Totally worth it. I like to consider it preparation for this coming season. You should try it. It'll give you an excuse to eat more cupcakes. Preheat oven to 325 degrees F. Brush standard muffin tins with butter; dust with flour, tapping out excess. In a saucepan, melt butter over medium-low heat. Cook, swirling occasionally, until butter turns golden brown. Skim foam from top and remove from heat. Pour into a bowl to stop cooking process, leaving behind any burned sediment. Let cool. Whisk together flour, baking powder, salt, cinnamon, nutmeg, and cloves. In another bowl, whisk together pumpkin puree, both sugars, eggs, and brown butter mixture. Add flour mixture and whisk until just combined. Divide batter evenly among muffin tin cups, filling each three-quarters full. Bake, rotating pans halfway through, until a toothpick inserted in center comes out clean, about 20 minutes. Transfer tins to wire racks while you immediately begin to prepare icing; cupcakes should still be slightly warm when dipped. In a small saucepan over medium heat, melt butter and cook, swirling occasionally, until nut-brown in colour. Remove from heat and pour butter into a bowl, leaving behind any burned sediment. Add confectioners' sugar, vanilla, and 1 tablespoon milk to brown butter; stir until smooth. If necessary, add more milk (up to 1 tablespoon) a little at a time, just until icing is spreadable. Use immediately for dipping cupcakes. Dip top of each slightly warm cupcake in icing, then turn over quickly and let set before serving. These sound delicious! I love that brown butter frosting dripping down the side! I love pumpkin. I love brown butter. I love cupcakes you have covered everything I like in one bite. They look super good and sound amazing. Those are so cute! I love the brown butter icing! For me, pumpkin pie was never my favourite. Give me pecan any day! But pumpkin bread and muffins? SO GOOD! These cupcakes look awesome. I love pumpkin SO much. These are adorable and they sound delicious. 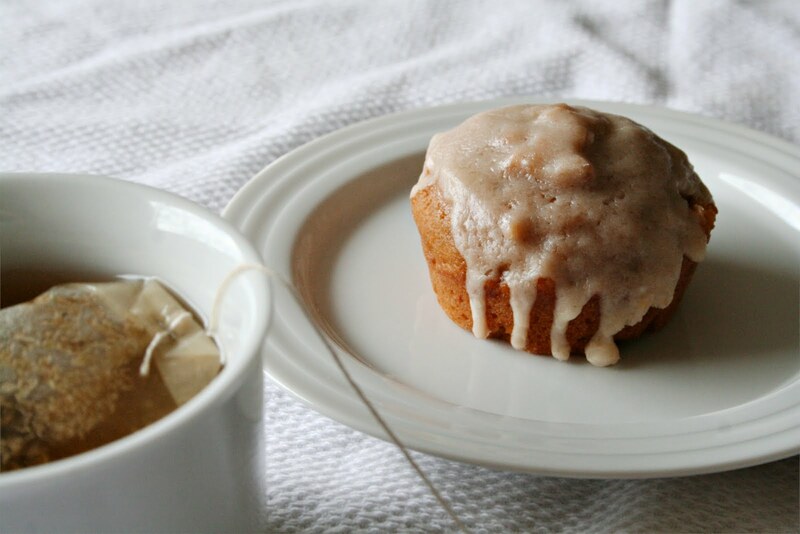 I love the brown butter icing! These pumpkin cupcakes are awesome. They are great for the Autumn season and Thanksgiving. Will bake these during our pumpkin season in Australia. Thanks for sharing. Nice recipe and the photos are fantastic! I have to warn you, that once you go pumpkin you never go back. These look amazing! Love that brown butter twist. YES, I have been just counting down the days till Fall officially started, the pumpkin harvest, this looks really delish. Are you serious - this was the 1st time you had made something with pumpkin? You are missing out. I go through several cans of pumpkin each year! 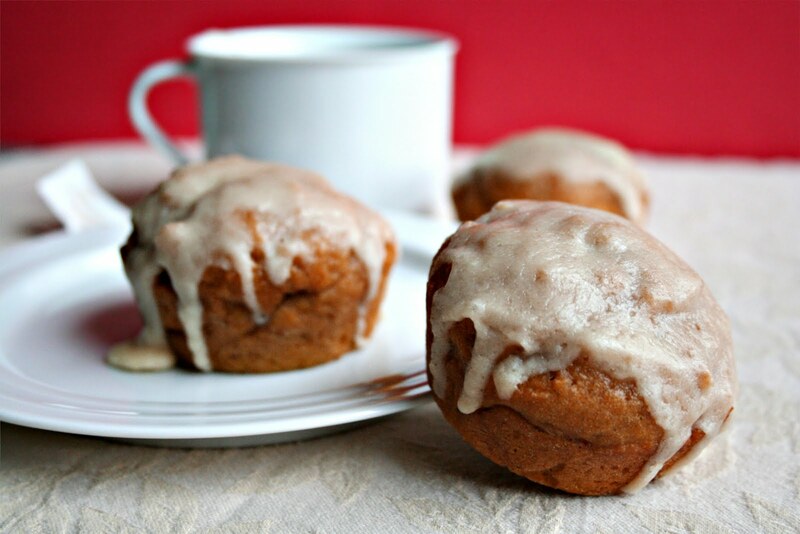 Wow, I feel like I can almost smell the pumpkin cupcakes and the spices just by looking at the photos. Inspiration for kicking off pumpkin-baking season! you'll have loads of sites business that portray low-quality. Well there is help at hand because there are no errors.